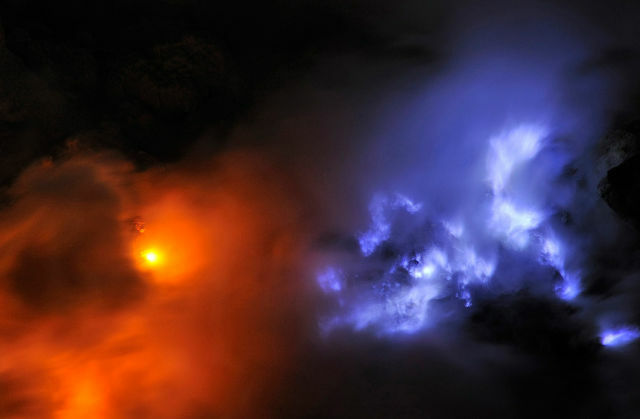 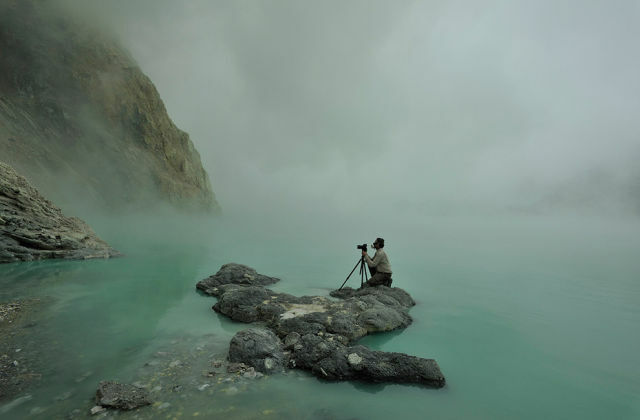 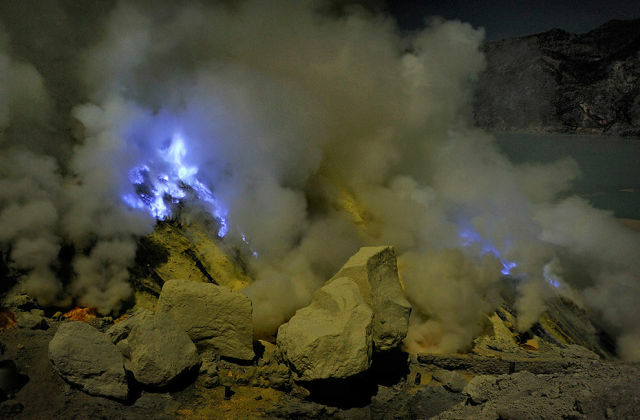 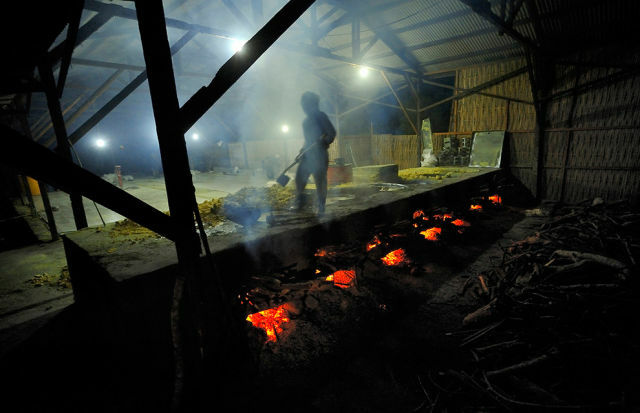 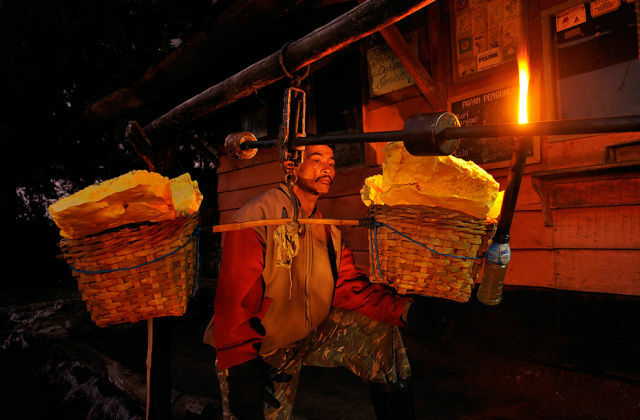 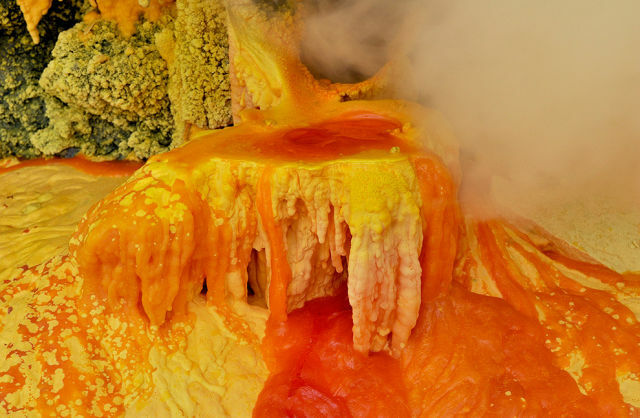 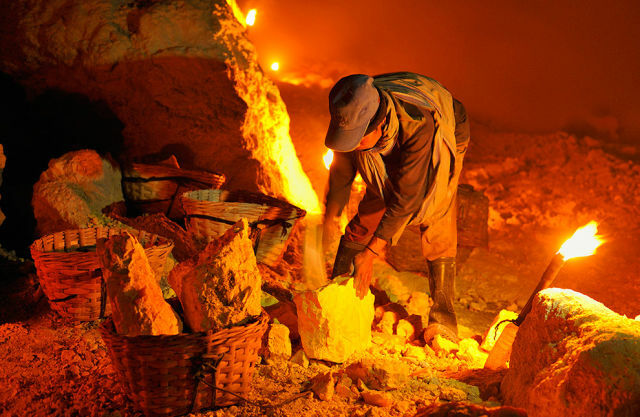 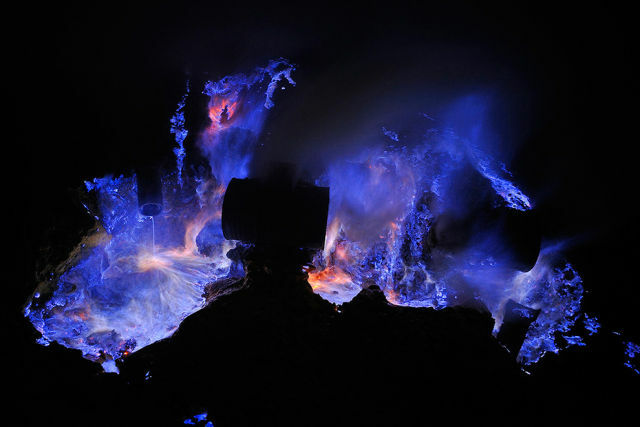 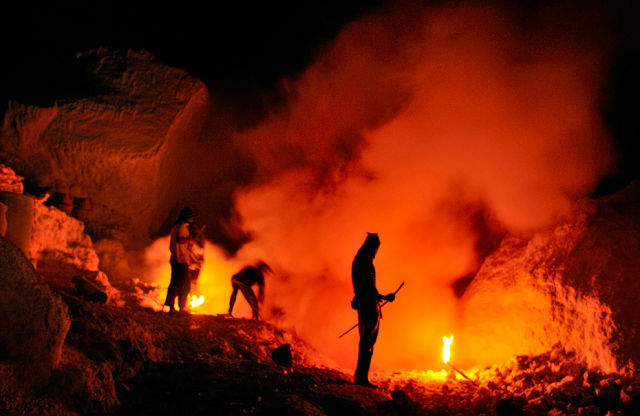 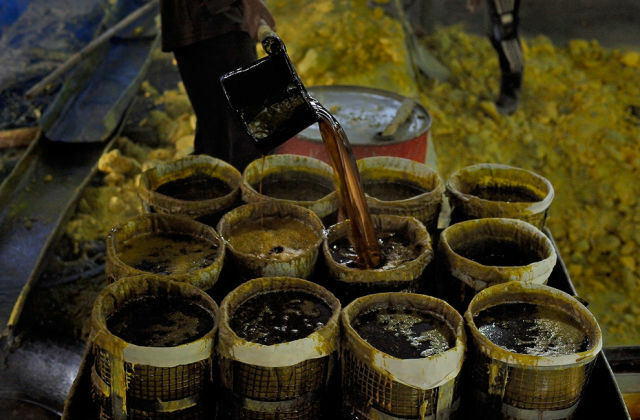 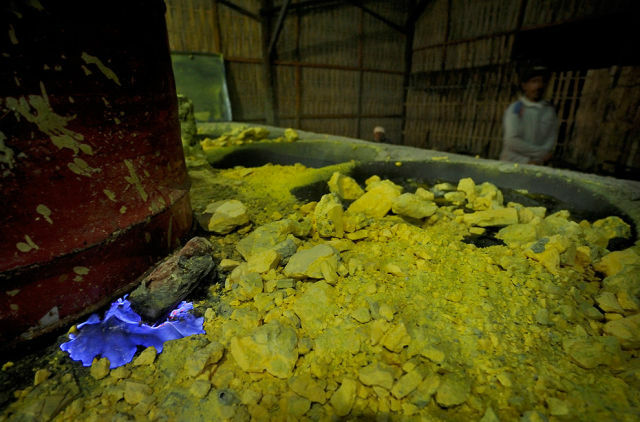 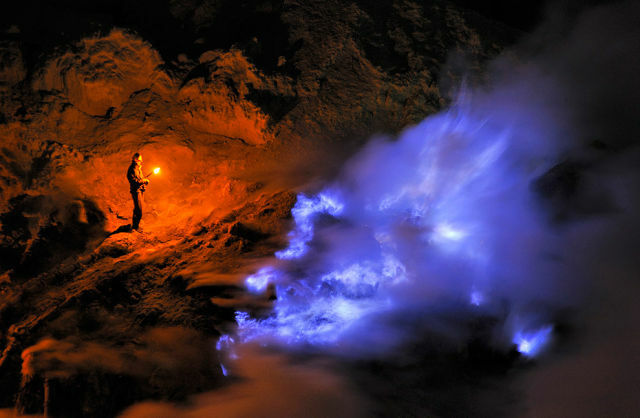 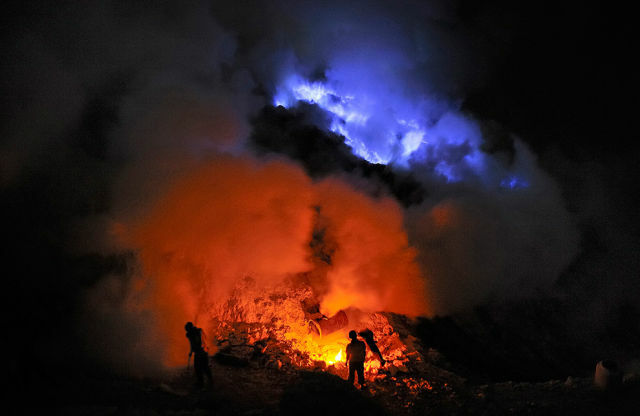 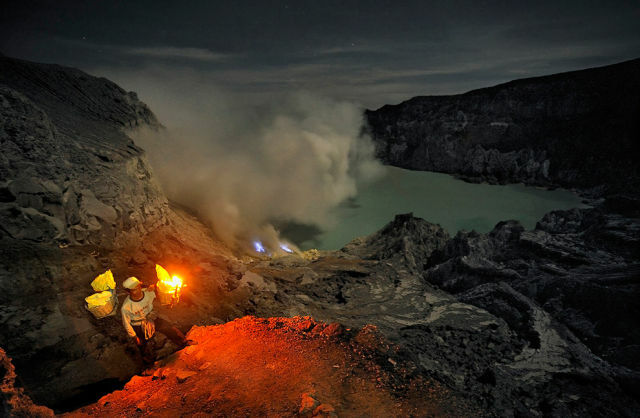 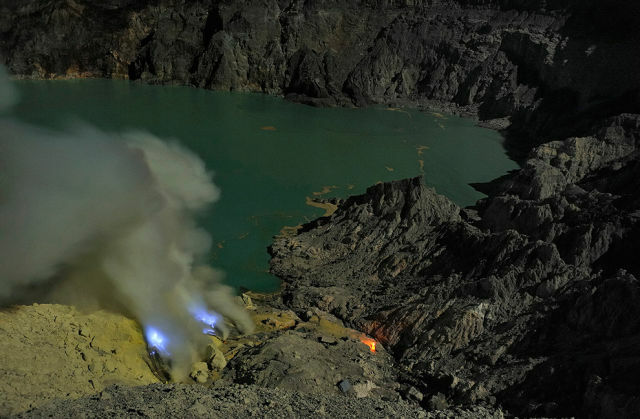 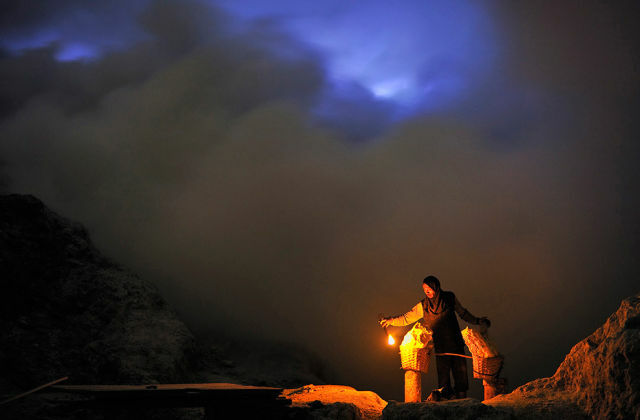 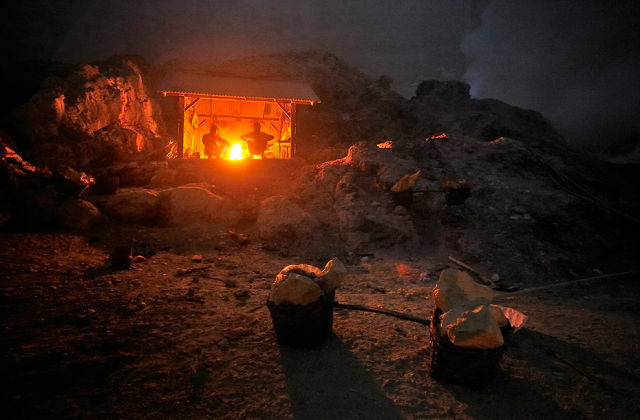 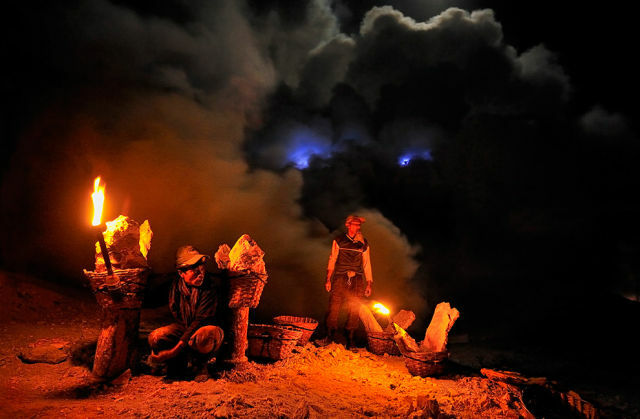 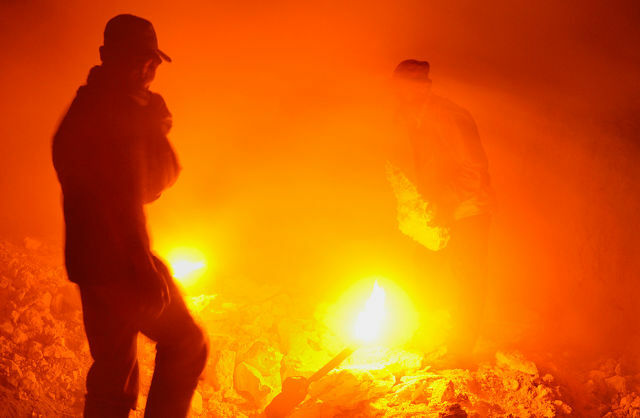 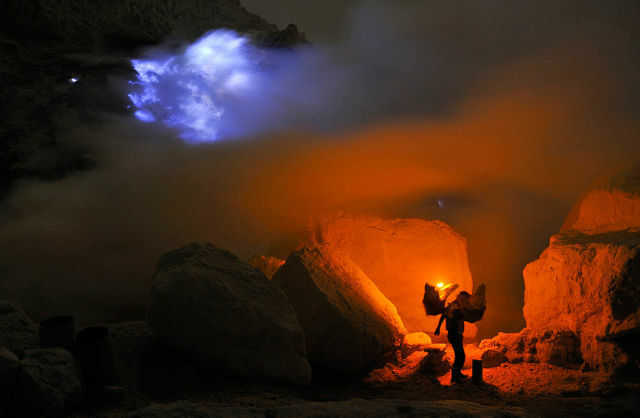 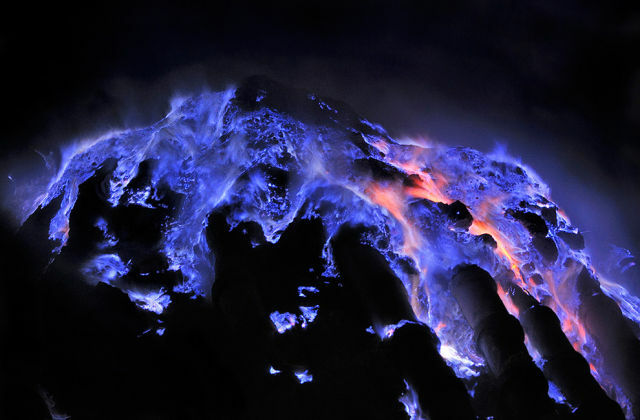 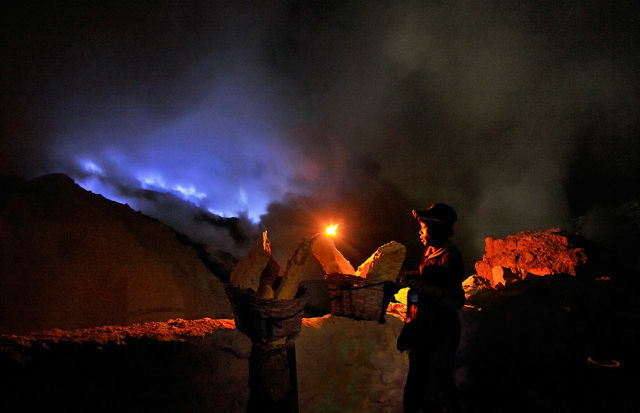 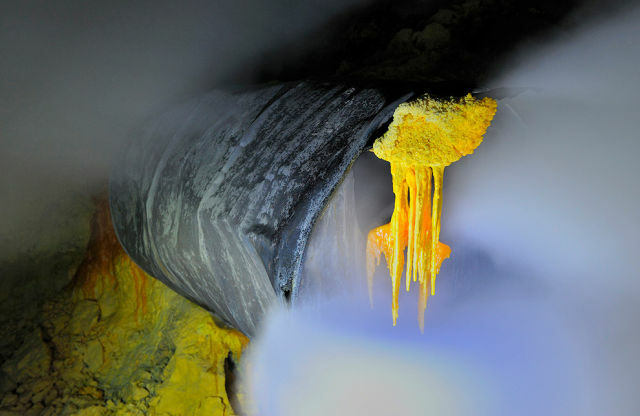 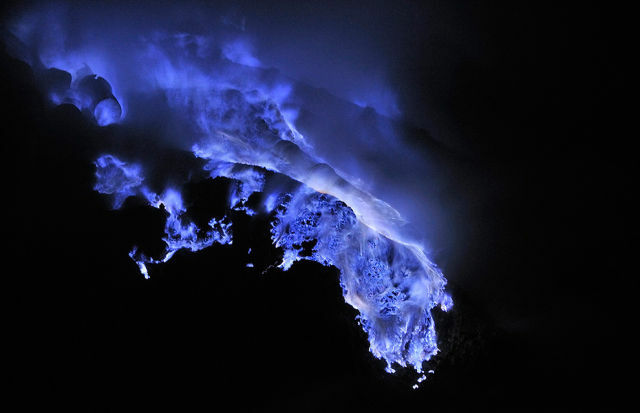 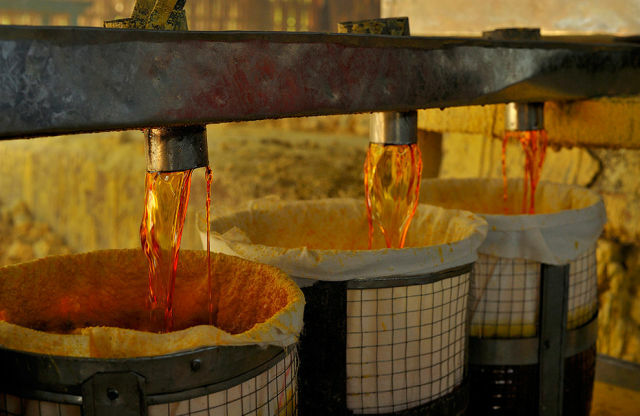 Welcome to the sulfur mines in the crater of the Kawah Ijen volcano in East Java, Indonesia. 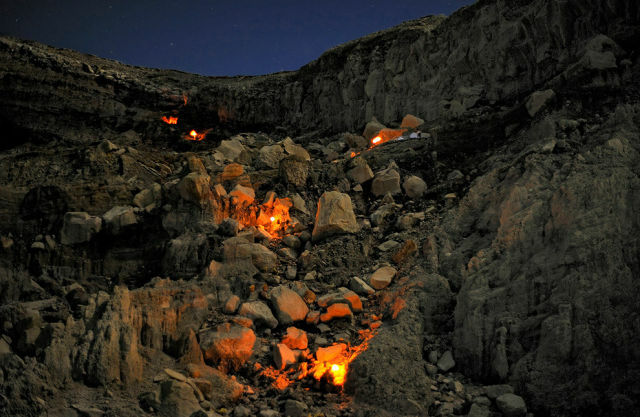 These photos were taken by Photographer Oliver Grunewald. 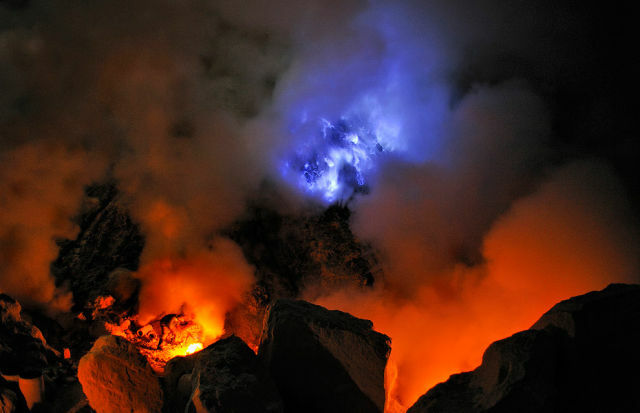 The volcano is 2,600 meters tall and the craters are 200 meters deep. 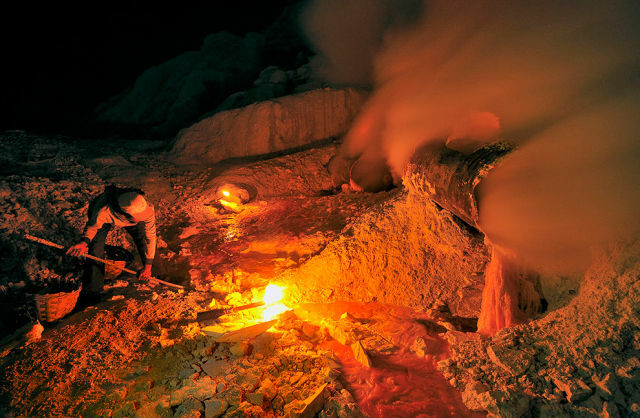 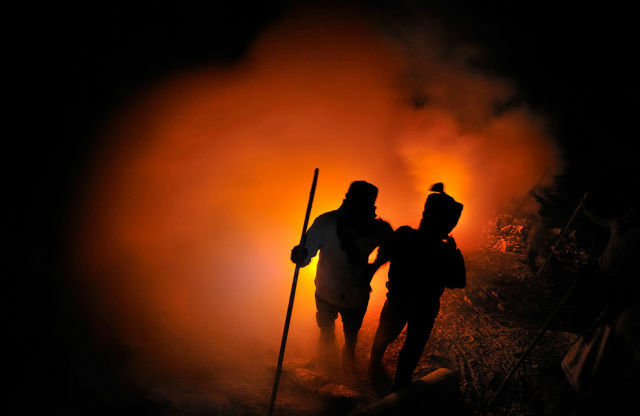 wow torch right by the sulfur they collected dangerous job. 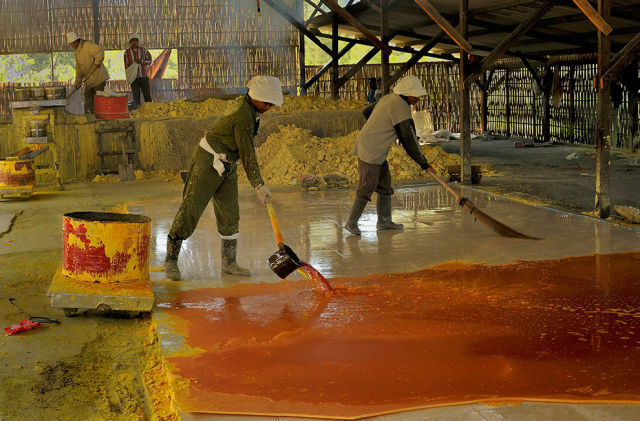 I thought I'd have to read a book for a discvoery like this!